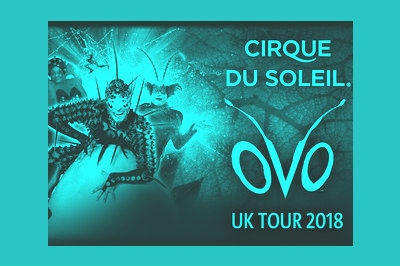 World famous circus troupe Cirque du Soleil are back at the Hydro Glasgow with Ovo in September 2018. The smash hit show is set to amaze audiences at the Royal Albert Hall at the start of 2018 before embarking on a UK arena tour with dates at the SSE Hydro from the 5th through to the 9th September 2018. The last time the Cirque du Soleil visited Glasgow was with Varekai which was a huge success and this show is set to be even bigger and better.